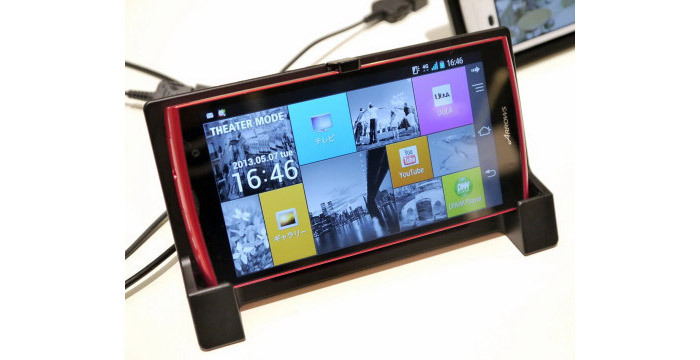 Fujitsu is not a household name when it comes to smartphones but despite this the Japanese company has prepared a new high-end smartphone under the trade name of Arrows A 202F. The Arrows A 202F packs a Snapdragon 600 processor, a 5-inch sensor IPS display at Full HD resolution (1920 x 1080 pixels), 2 GB of RAM, 64 GB of internal memory, a microSD card slot, a rear 13.1 MP camera with autofocus and a 1.2 MP front camera. Connectivity has not been forgotten either – the Arrows A 202F comes with Bluetooth 4.0, NFC, a GPS receiver, a digital TV tuner and support for LTE. The smartphone is powered by a 3200 mAh battery and runs Android 4.2 Jelly Bean. The Arrows A 202F also supports the IPX5 and IPX8 standards, which means the smartphone is dust- and water-resistant, and comes in blue, white, pink and black.